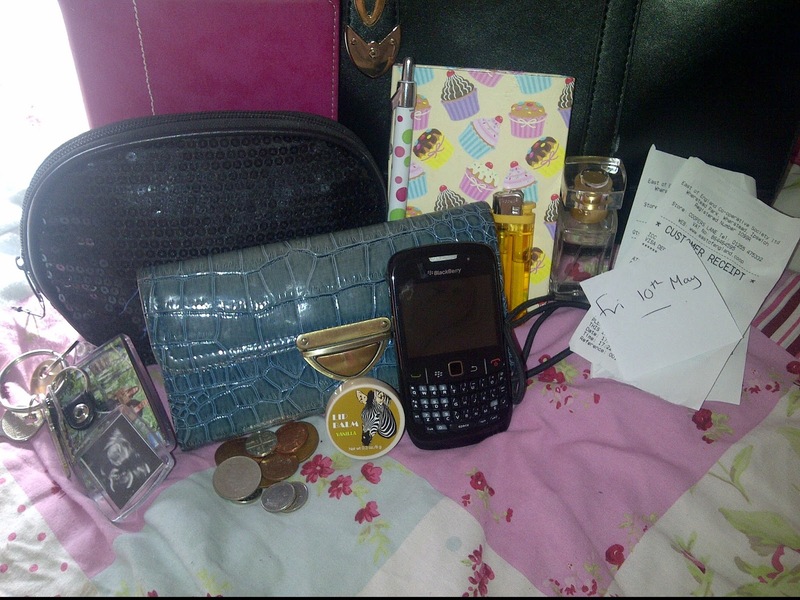 Pretty in Peaches: What's in my handbag? 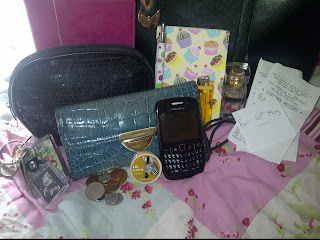 Hi Guys, I'm going to share with you what is in my bag. 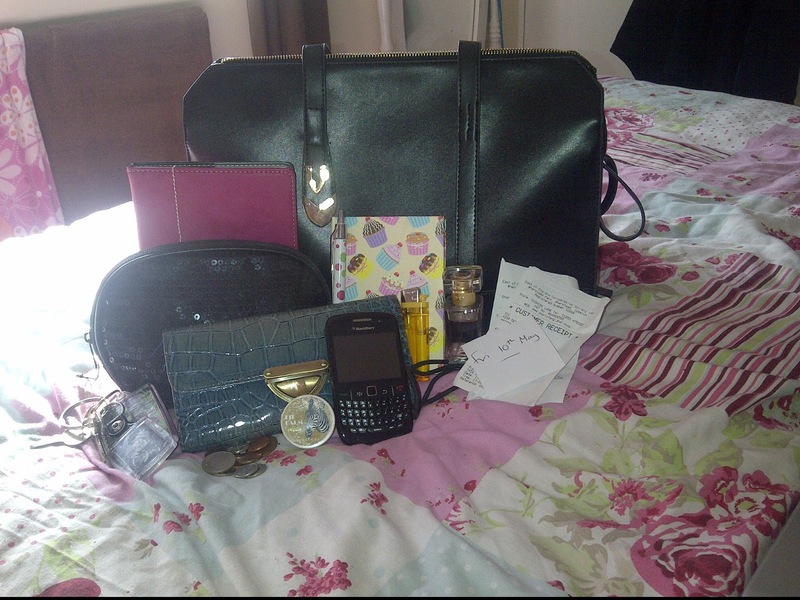 My handbag is fairly new I have had it for around 3 weeks now and I use it everyday. Enjoy! 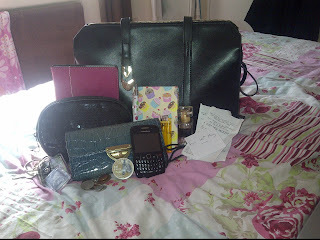 Handbag from Ebay.co.uk I adore this handbag, they also do it in a red colour. This bag has a lot of space inside it. 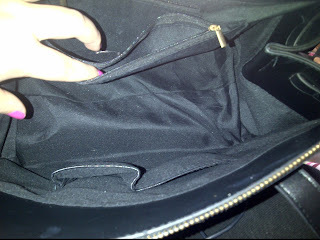 there is a pocket on the side then another zipped compartment. On the other side there is 2 phone slots. I am very happy with this purchase and the seller was very helpful and kind.